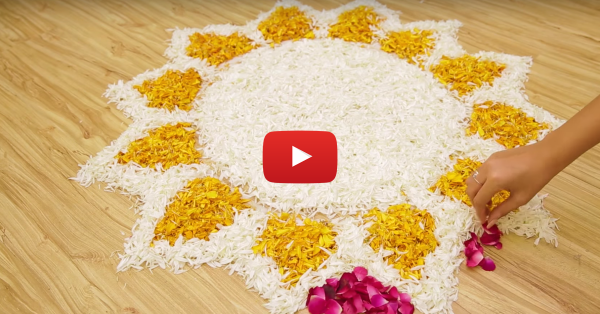 Beautiful Flower Rangoli Design To Try This Diwali! Decorating our houses with flowers and lights is a tradition we love to follow every Diwali. So we thought that this year, we'd help you out a little bit and give you a beautiful flower rangoli design to decorate your house with! Some diyas, some flowers and a lot of colour! That's what Diwali is all about, after all! Happy Diwali! Watch the video now!